New York on a budget becomes more challenging when sightseeing costs are considered. They can be staggering in New York. None of those costs will break the bank, but it all adds up and can come as a shock to those who aren't prepared. But the Internet provides a chance to find savings before arrival. For admission to more than 50 of New York City's best attractions: New York Pass, purchases involve a daily fee for visiting as many of the following attractions as you can: Empire State Building, Statue of Liberty and Ellis Island, Museum of Modern Art, American Museum of Natural History, The Guggenheim, Madame Tussaud's Wax Museum, Brooklyn Museum of Art, NBC Studio Tour, Circleline Sightseeing, Radio City Music Hall Stage Door Tour, Madison Square Garden All Access Tour, among others. The pass also includes a guidebook and line-skipping privileges at some attractions. The purchase is made prior to leaving for New York. At the very least, it will prevent long waits in ticket lines. The price is $109 USD for a one-day adult pass, and two-day passes (probably more practical) for adults and children are $189. Clearly, the only way this purchase pays off is if you plan to visit several of the listed attractions in a short time with or without the pass. If you do, the savings can add up quickly. If not, you're better off paying for only the places you want to see. Passes aside, there are plenty of free things for families to do in New York. Investigations based on your interests can turn up a surprising array of options. Here's another potential budget-killer: Broadway tickets easily can run $200 USD or more. So visit the TKTS booth on Times Square and order discount tickets. Be prepared for long lines at times. Why are all the people waiting? TKTS scoops up unsold, day-of-performance tickets and sells them below box office rates. You are letting them choose your seats and even the show. In exchange, they offer Broadway seats at 25-50% below face value (but add a service charge). Pocket your savings, or apply it to a second show on another day. Don't forget about off-Broadway and even off-off-Broadway productions. Many are well-acted and produced, and will cost a fraction what they're charging at the big theaters. NBC's Today is a fixture in the early mornings and a favorite of budget travelers, too. Their summer concert series provides name entertainment in open-air performances. Scrawl something on a sign, show up at the corner of 49th Street and Rockefeller Plaza, and hope for a brush with stardom. For many other major TV productions, you will need tickets. Most are free, but they may involve standing in long lines. Consider how "free" these tickets are, given your length of time in New York. Time is money on vacation, too! Nytix.com offers a nice list of shows and directions for getting into the audiences. Guidebooks can provide a wealth of money-saving information. Don't depend on them only for accommodation information, and don't make all your decisions on tours and nightlife from their pages, either. Some guidebook information is simply outdated days after publication. Writers of the better volumes freely admit this. It's just not possible to keep up with which dance club is hot, which tour has been canceled or who has the best vegetarian cuisine this month. The Internet often provides more up-to-date information on restaurants, clubs and yes, even clean public restrooms. Don't laugh! Veterans of the city like About New York City for Visitors Guide Heather Cross can tell you the importance of knowing where to go when you have to go. She offers directions to the best restrooms. How is this budget travel oriented? If you go to the wrong place, you might find yourself buying something to become a "customer" and therefore "bathroom eligible." Speaking of free comfort, did you know many events at the world-famous Juilliard School are open to the public? This is a chance to hear music from tomorrow's top performers. Beware: some events that are free nonetheless require tickets for admission. For more information on specifics, consult Juilliard's online calendar of events. Most of the world's great cities afford opportunities for great walking tours. Big Onion offers ethnic neighborhoods and historic districts starting at $15 for adults, $12 for students and seniors. They'll also take you on an eating tour (food included in the guide price) or a walk to Ellis Island (ferry ticket included). 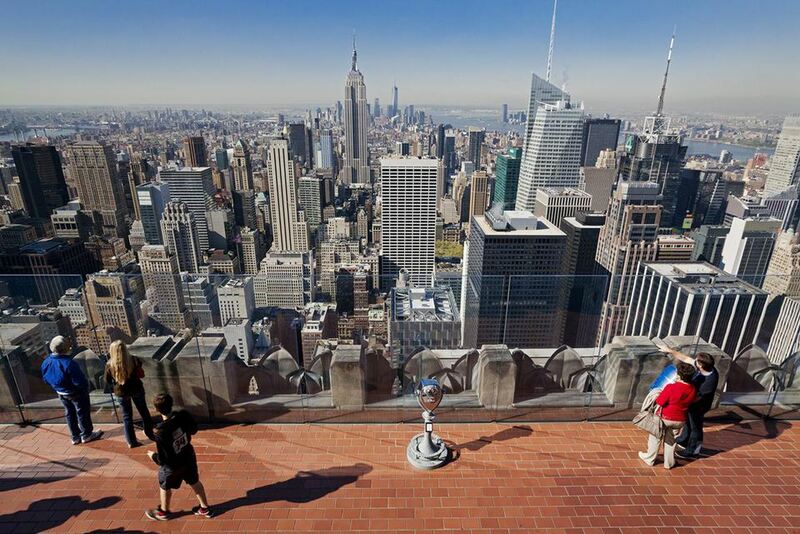 New York Tours will link you to a number of other companies. Note their specialties, because many have distinct strengths and weaknesses. Free Tours by Foot offers a variety of informative routes, but reservations are necessary. Although free, it's only fair to tip the guide for a job well-done.